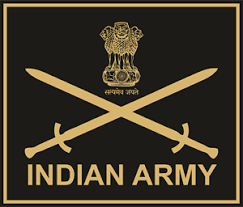 Army Recruitment Rally will be held for eligible candidates of districts Akola, Amravati, Bhandara, Chandrapur, Gadchiroli, Gondia, Nagpur, Wardha, Washim & Yavatmal from 23 Oct 2018 to 03 Nov 2018 at Jawaharlal Nehru Sports Stadium, Amravati (Maharashtra). Qualification: SSLC/ Matric with 45% marks in aggregate and 33% in each subject. No aggregate percentage required for higher qualification i.e. 10+2 and above. However, minimum 33% in each subject required. Qualification: 10+2/ Intermediate Exam Pass in Science with Physics, Chemistry, Maths and English with 50% marks in aggregate and 40% in each subject. Qualification: 10+2/ Intermediate Exam Pass in Science with Physics, Chemistry, Biology and English with min 50% marks in aggregate and minimum 40% in each subject. Last Date: 07th October, 2018 .